Fall is a wonderful season to bring the whole family out to enjoy some great fairs. The air is crisp and the colorful leaves are truly a delight. Plenty of Oktoberfests and HarvestFests to choose from. We’ve highlighted some of our favorites below. Good food, music, rides, games for all. Market Street between Westminster & Mayhill, Saddle Brook NJ. Giant street fair featuring great rides, entertainment, music, arts & crafts, ethnic and regional food. Downtown on Bloomfield Ave, Caldwell NJ. Celebrate Indian Cultural & Folk Dances, live music and performances - think Bollywood, plenty of children’s activities and great food. Not to be missed! Exchange Place, Grundy Pier, Jersey City NJ. Bring the whole family. 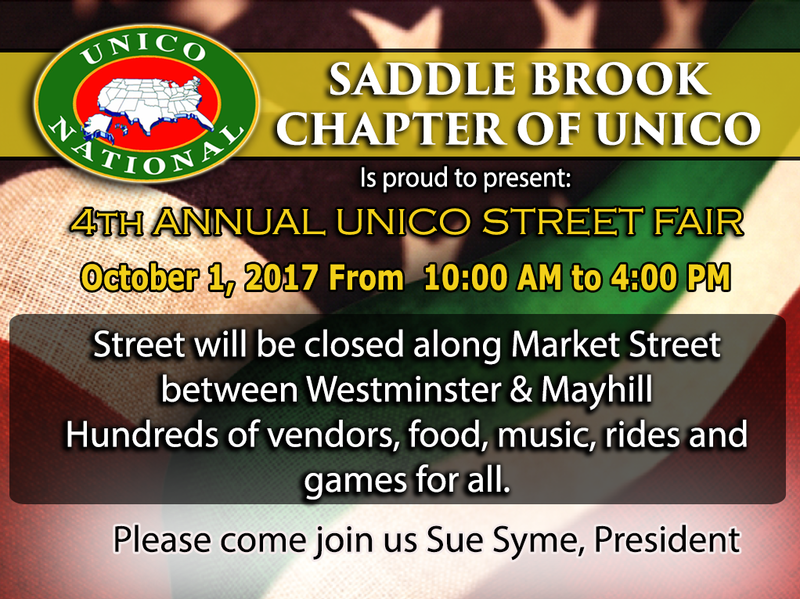 Traditional street fair with games, music, food and street vendors. Main Street, Somerville NJ. Family fun with amusement rides, food & games. Musical acts - Heroes of Rock and Chase Bryant. Children’s activities include jugglers, stilt walkers, BMX Bike Show, pony Rides and much more! 678 Morton Ave, Bridgeton NJ. Weekend celebrating Italian culture, performances, food and a Columbus Day parade. Arts, crafts and musical entertainment. Grant Ave, Seaside Heights NJ. Celebrate Oktoberfest and the Fall Harvest season. Local fare, live music and dancing. Children’s area with pumpkin decorating, balloon animals and face painting. George St, New Brunswick NJ. Bring in Fall - fun day full of family fun, live music and performances, kids rides in a special kids zone, arts, crafts and delicious food. North Main Street/Rt. 33, Hightstown NJ. Stroll along Bordentown’s downtown area. Featuring Arts & Crafts, expanded Family Kids Zone, Live Music, Snacks and Food. Farnsworth Avenue, Bordentown City NJ. Join in the Oktoberfest festivities – crafters, live music and tasty food. Village Greene, Smithville NJ. FREE Admission for all. Live Music, Crafters, Pumpkin Contests, Apple Pie Contests, Carriage Ride and more! Washington Park on Washington Ave, Dunellen NJ.